It’s been only two months since Bill C-45 was enacted as a federal law across Canada, legalizing the distribution, possession and personal use of marijuana, with medical marijuana use remaining intact. The federal government amended the Criminal Code enabling Canadians to buy, sell and consume cannabis and cannabis products. The current Canadian federal government enacted Bill C-45 on October 17, 2018 after many months of consultations with the provinces, police forces, committee hearings, public information sessions and town hall meetings at the local level regarding the implementation of the bill. However, the implementation of the law is controlled not only by each respective provincial government, but also with the local/municipal governments, which has led to an inconsistent approach in the way in which the personal use of marijuana is sold or NOT sold throughout the country, as municipalities can put in place additional regulations, stipulations or by-laws forbidding store front, retail operations. This article will review the dissimilarities in the manner in which they’ve been implemented, along with the various retail sale and distribution model of cannabis, distribution methods, as well as examples of how some local municipal governments are wrestling with Bill C-45. Some provinces allow private sector retail stores, or via online sales, whereas others are controlled by government monopolies. For example, in British Colombia at the time Bill C-45 went into effect, there was just one government cannabis store available for legal purchases, but there were a number of online retailers already operating. In the neighboring Territory of Nunavut sales were offered by telephone. The Ontario Cannabis Retail Corporation created their own online ordering system, the Ontario Cannabis Store (OCS), the equivalent to the Liquor Control Board of Ontario. However, the legislation to permit private retailing is still awaiting approval and most likely will be Q2 or Q3 2019. Nova Scotia conducts most of its personal use cannabis sales inside existing liquor stores, known as NSLC (Nova Scotia Liquour Corporation), with twelve existing locations having a “store within a store” offering pot sales. New Brunswick permits one to smoke in your own private residence, but if you’re in another person’s residence, you require the owner’s permission, so renters take note, and condominium rules are set by the board of directors on a location by location basis. Provinces and territories also differ as well on how much you can possess and where you can legally consume cannabis as for most provinces, one can possess up to 30 grams of dried cannabis, but in Quebec you can have up to 150 grams of dried cannabis at your residence. Now here’s something interesting, despite all the controls, best made plans/intents under the respective Bill C-45, the internet has blurred the landscape regarding the purchase of cannabis and products. My wife and I have had our medical marijuana licenses for two years, we reside in Ontario and summer vacation in Nova Scotia. We use CBD based products, but on many occasions both our medical marijuana providers have been out of stock on the items we needed. A long time friend introduced us to an internet site based out of another province that retailed virtually all the CBD only, CBD/THC blend, and THC only products that our medical providers sold! We ordered from them and within two business days we had our CBD products, meaning no more aches and pains! While summering in Nova Scotia our medical suppliers ran out of the products we needed, so we hopped on the web, did a Google search for medical marijuana dispensaries within an hour drive of our location and found three! A search on social media pointed us to a local company that made ‘non-medical’ infused baked goods and DELIVERED to our area THE NEXT BUSINESS DAY! We stayed in Ottawa Ontario, Canada’s national capital last summer; we discovered a local, non-medical cannabis and products online ordering store that provided local, next business day delivery! The products were ordered and paid for online via the internet using Interact email payment. The point is that we procured products via the internet and social media which were available months prior to the Bill C-45 being enacted!! Not all is perfect with online ordering! 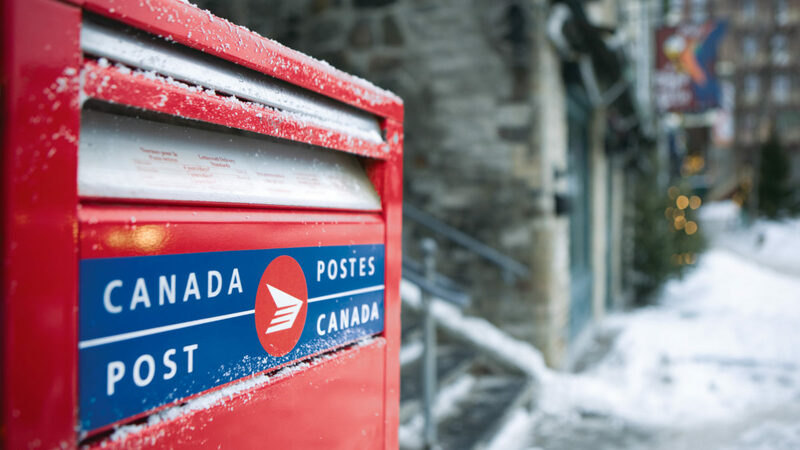 In Ontario people who ordered products via the OCS website, had their delivery backlogged, as demand exceeded supply, plus Canada Post, the national post office, went on work slow downs and rotating strikes further delaying the delivery windows. Some online retailers offered private couriers such as FEDEX or DHL to deliver the order, but at a higher rate. Bill C-45 sets out that provincial and local governments deal with implementing the laws at their respective levels. Across Canada municipal governments are caught between a rock and hard place as in many provinces the laws authorizing private store front retailers have yet to pass in the respective legislature, and may just opt out, but that depends on the provincial laws. For this discussion, I’m focusing on the Province of Ontario and the local municipal governments that have made their decisions or considering stances on private retail store locations within their boundaries. Ontario is introducing Bill-36 to address the private sector stores, which is expected to go into law in the spring of 2019. Please review the AMO report that municipalities in the Province of Ontario use as a guide for details on the issues currently facing municipalities. ii) establish the Alcohol and Gaming Commission of Ontario (ACGO) as the retail store licensing body. The key phrase here is ‘has not opted out‘ of retail sales…as some local governments are now doing this. Toronto, the capital city of Ontario, has ‘opted in’ for private sector retail stores, with a maximum number of licenses being made available for Q2 2019, as it’s their belief there’s a compelling need for the sales tax revenues to assist with legal/policing/funding/social services agencies needs. However, Scarborough, a municipality that’s part of the GTA, has ‘opted out’ as the provincial legislation authorizing them to do so and are taking a ‘wait and see’ stance. Similarly, the City of Mississauga has ‘opted out’, and declined to approve private sector retail stores applications from companies wishing to. There are compelling ‘pro and con’ positions, platforms and reasons for municipalities to allow or not permit the local licensing of private, store front retail locations. But as history has shown, municipalities that push back against provincial or federal legislation tend to wind up in court defending a Supreme Court challenge brought on by a class action suit from affected parties. Municipalities and local governments in Ontario refer to the Municipal Act in order to guide them when dealing with existing federal and provincial legislation, but in this case, the Province of Ontario has yet to enact the law governing the control of private sector retail stores. Many municipalities argue that they have official plans drawn up based on specific types of retail and commercial use businesses, and when the plans were developed, private sector retail stores for marijuana sales were NOT on the horizon, which means local governments are ‘opting out’ to approve locations, until such time the provincial legislation is in place or ‘opting out’ permanently. One of Canada’s fastest growing communities, with its member population that leads the nation, has a council membership sitting on the fence about ‘opting in or out.’ A few private store front operations have opened in shopping malls, one of which is across the street from a public educational institution. The illegal shops can be shut down immediately and the building unit owners sued, but then a short time later, the store is back open under another name and operating company. The legal processes take up time and money, and resources might exceed the existing legal and policing budget, so the ‘opt in’ position would be attractive with the new tax revenues and budgets being used for policing, etc. Training and equipping police forces, with the knowledge and tools to effectively deal with drivers high behind the wheel are evolving, but will cost more money, which most local governments do not have in their budgets, thus causing influence for them to ‘opt in’ and use a portion of the tax revenues to foot the bill. Social services agencies require training and tools to assist families and members of society with drug rehabilitation programs, as drug abuse is not just for prescription drugs or meth, heroin or cocaine. Regardless of whatever laws are or are not in place, those citizens that wish to acquire cannabis and products for their private enjoyment will find a way to do so. For residents in those ‘opt out’ communities, internet based vendor/sites make it easy to obtain product. It stands to reason that those citizens who wish to use marijuana for personal use could do so by ordering from the internet, and have it shipped to their residence. Everyone knows when you’re high, it’s really difficult to get off the couch…and thank goodness there are food delivery apps at one’s fingertips on their phone! No single piece of legislation and subsequent laws are perfect. Municipalities and local governments have a lot to deal with when deciding whether to ‘opt in/out’ on private retail store front operations. Tax revenues motivate governments at all three levels. Those who are legally entitled to it, will obtain it….. I would love to hear your thoughts on these issues. Please leave a comment below. I thought it was really interesting that you brought up delivery services. In the latest episode of South Park, they started using Escooters to deliver marijuana to people. It was a funny satire because here in the states we have many laws surrounding the delivery of marijuana. The vehicles themselves have to meet certain criteria, the routes have to be pre-planned I believe. Its a big mess, and scooters remove all of those problems. Does Canada have pretty loose delivery laws, or are they pretty strict? Hi James. Thanks for stopping by. You have piqued my interested. We are South Park fans and will definitely make a point of watching this episode! Yes, I would say our laws are quite strict. For online, Canada Post is the sole authorized delivery service for online purchases in Canada. Hello Mary Ann and thank you for this informative article. It was really an eye opener. Usually, great laws like these are almost always brought in most developed western countries. Bill C-45 is truly a great law. It will take many years before some law like this is even brought on daily agenda in my country. I wanted to ask you, how selling is regulated by this law? Can individuals resell their marujana or it is only official companies that have this possiblity? long time coming and was needed. What country are you in? incarceration and a stiff fine! This certainly is an interesting topic of discussion. I’d like to believe that the legalization of marijuana no doubt has its advantages and disadvantages, and there are truly no one-sided arguments regarding this issue. That said, it is interesting to see how governments and legislators tackle such an issue, given the stigma that the plant has developed with less-understanding people throughout the years. and one that’s sure to be around for a long time. making venture for a lot of people, the government included. I like your article and I also like the topic which is about Cannabis. This plant became very popular so it is good that things are moving in the right direction. I remeber how it was some 10 or 15 years ago, Cannabis was so demonized in media as it would be heroine, which was pretty stupid. I`m glad that also in Canada Cannabis get its legality in market but as you said, nothing is perfect and perhaps there will be still some more development in this area. I am glad you like the topic. It is going to be around for a long time. I am sure the laws will be revisited often and changes made over time. Nothing is perfect but we are getting there and are further ahead than some other countries. The hypocrisy of criminalizing marijuana was long over due. In the 1900 it was compulsory for US farmers to grow marijuana it was an important aspect of the production economy as it served as a sourçe of raw material to poduce other goods . Along the line due to bad politics it was criminalized but now the light of information is out and all over the world Governments are legalizing the use of medical and recreational marijuana. A billion dollar industry is reawakened. There definitely has been a lot of hypocrisy surrounding marijuana. Bill C-45 was a long time in coming. There will be a ton of money made because of the legalization but I would like to think it isn’t all about money and that some good for those who need it will happen. I think that marijuana as a cure (medicine) should be allowed. If someone is growing personally in their own home and not bothering neighbors (smell and other stuff), than maybe its ok to let them. Still, the question remains if it is good for the surrounding, but as I said I am totally for allowing oils. My grandma uses cannabis oil and rubs that on her legs and it helps her. Also, my friend save one dog that was hit by a car… she put oil around the wound and the dog recovered eventually with less pain. In my country it is not legal to grow and I personally respect that, but I am glad that there is cannabis oil like medicine here. People here tried some petitions for allowing, but it didn’t came as they planned to be. As you said, not every piece of law is perfect, we have to accept some of them and hope it will change if it is for the sake of all. Thanks for stopping by. I am happy that the oils help your grandma and the dog. So many older people are really tired of paying the cost for drugs with all the side effects. Sometimes petitions work and sometimes they don’t. What country are you in?